First of all, I am super in love with the packaging. A lot of moisturizers that we see in the market comes in a jar where you have to scoop out the product with a spatula or for those who do not care, their fingers. Now no matter how well you disinfect your spatula after each use, or how well you clean your finger, no matter how miraculous your moisturizer is, a little contamination is going to happen. 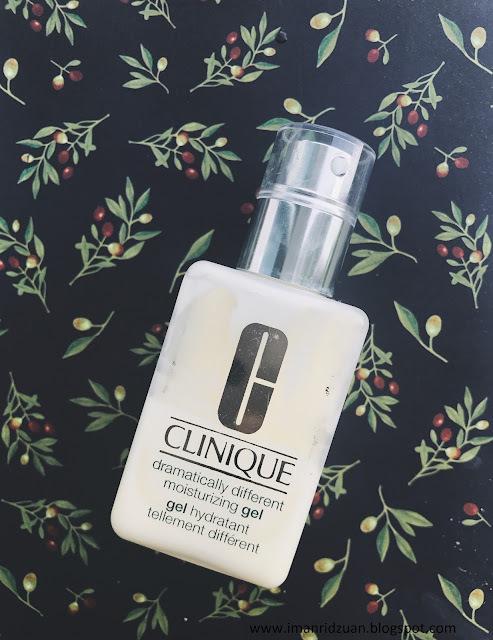 So when clinique opt for a pump bottle like this, I appreciate it very much. Plus it comes with a cap too, so that's very convenient for travelling. Their 3 step skincare systems consist of cleanser, toner and moisturizer. 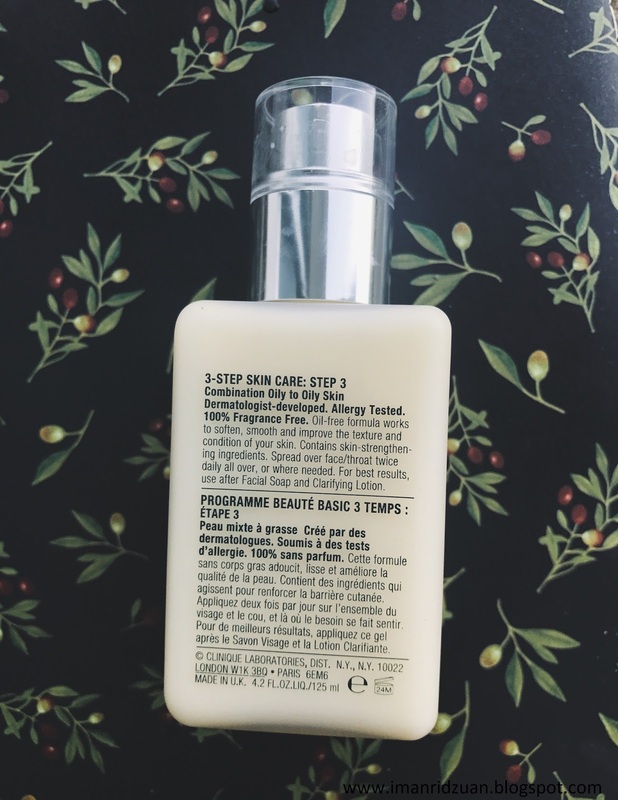 I have only tried the cleanser which you can read about here and this moisturizer. Their dramatically different moisturizer range comes with two types, a gel type which is the one that I am reviewing and another one is a lotion type. If you're planning to try, you can choose them according to your skin type. Gel one suits best for people with oily skin, and the lotion one is for normal to dry skin. This moisturizer is by far the best moisturizer that I have tried for my skin, but there are few downs to it. I can totally understand why people are crazy about this moisturizer though. The first time I applied it on my skin, I thought okay, so far so good. My skin drinks this up very well without leaving any oily residue, well of course, it's an oil free moisturizer anyway. But the obvious change that I felt was when I apply my makeup. The foundation goes on a lot smoother and application seems to be overall better. Can you see how smoother my hand looks after I apply the moisturizer into my skin? Amazing right? The first picture my skin looks like the Sahara desert lol. Usually with other moisturizers, when I wake up in the morning, my skin is gonna appear really oily. But with this baby here, my skin looks just okay! It just looks very well hydrated and plump. For day time however, the moisturizer doesn't seem to moisturize my skin enough throughout the whole day. I don't know if my skin have transitioned from being oily to normal, but sometimes I can see dry patches on my skin when I observe it in the afternoon. It feels very hydrating in the morning but maybe Malaysia is too hot for my skin to hold the moisture through the day, even when I do drink a lot to hydrate my skin. Same thing happens when I am in an air conditioned room for too long. I bought this moisturizer in early May, and it is the end of October now. Nearly 6 months of usage and I still have half of the bottle left! I use it twice a day, one pump for each. So even though you're paying a lot, you're getting a lot. I bought the lotion version for my mum during the Mother's Day, and she loves it. Maybe I should try out hers to see if the lotion one is better for my skin hehe. Till then, byebye!